First, I baked two 14 inch square chocolate mud cakes. I frosted each layer with chocolate ganache. Next, I trimmed the last layer which was for the lid of the treasure chest and put it in the fridge to cool while I covered the box. 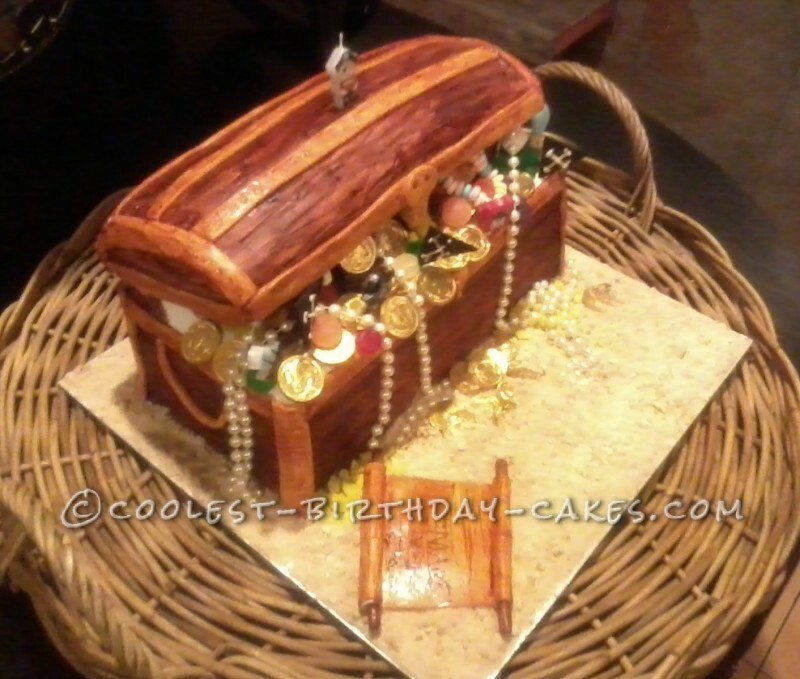 I crumb coated the treasure chest box and then covered the whole thing in fondant. I also used a tool to make indents around the box to give it a wood effect. Then I painted the chest. Once complete I sat it aside and carried on with the lid. I crumb coated the lid and also covered that in fondant. I used the same tool as I did with the main box to give it that wood effect. 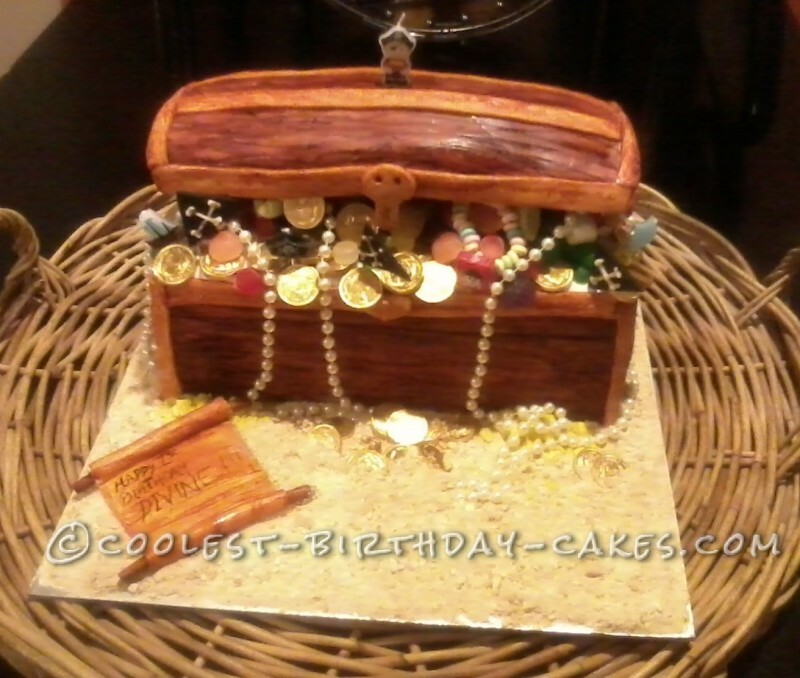 Once complete, I piled chocolate gold coins and lollies on top of the chest and then placed the lid on top. I also had two cake dowels in each corner of the cake to hold the lid. I painted the lid and added the finishing touches like the lock, the side corners and top strips. I also crushed biscuits to give a sand look around the cake. I had comments all day and the next and people were just amazed. 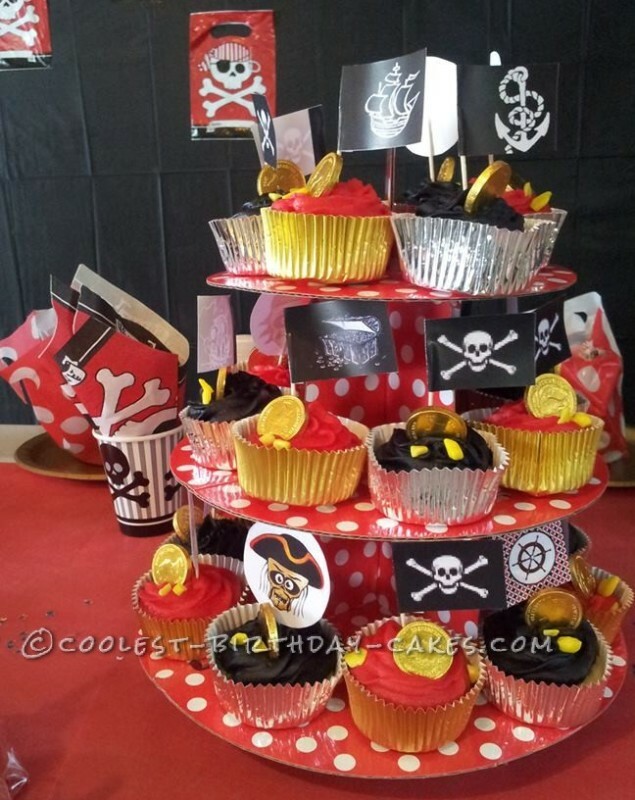 They really thought the outside was actually a box and didn’t know it was all edible. The cake didn’t last long. It was all gone by the next day.